← 2012 Washington Auto Show Is Coming Your Way! Before you reach for that snack, pause and think about why you are reaching for food? Are you stressed? Are you upset? Are you bored? Or are you, in fact, hungry? Think before you eat. If you’re hungry and in need of an energy boost, then plan out a snack full of complex carbs and protein. For example, eat an apple with a sprinkle of cinnamon, and about 20 roasted almonds or add 1 tbsp of peanut (or any nut) butter onto the apple. You could also have a slice of whole wheat bread with turkey, tomato, avocado and mustard. 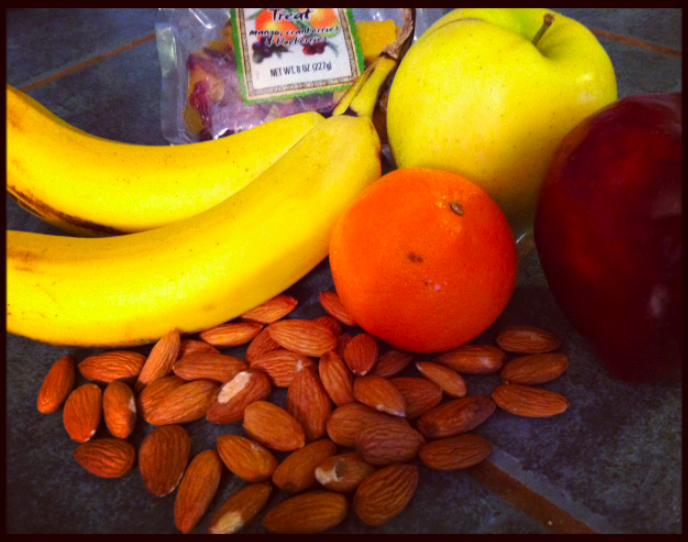 These are just a couple examples of delicious, nutritious and filling food choices. Keeping your snacks limited to 2-3 times per day, besides your regular three full meals, will ensure that you keep your calorie bank for the day monitored and within range. Or, eating 6 small snacks of 200-300 calories is a great way to keep your energy up throughout the day and avoid the heaviness and sluggishness that might accompany a large meal. Be smart about it and plan ahead. Make sure you keep your fridge stocked with fresh veggies and fruit, lean meats, eggs, fresh plain yogurt, and fresh whole wheat bread. Also make sure your pantry is filled with peanut (or any nut) butters, beans, whole wheat pasta, oatmeal, and other snack options so you can be ready for your busy week. Posted on January 27, 2012, in 2012 Biggest Loser Challenge, Fitness and tagged biggest loser, challenge, diet, eating, exercise, fitness, food, friday, health, meal, weight. Bookmark the permalink. Leave a comment.